See Attachment (Republishing of Decree-Law No. 3/2012) Art 2a (1a):"Develop national capacities to prevent monitoring, detection, reaction, analysis and correction cyber-security incidents and cyberattacks"
Page 4 - Media Literacy: "safely and critically navigate the Internet and use the social networks"
MINISTRY OF NATIONAL DEFENSE, Decree-Law No 62/2011 of 9 May: "This Decree-Law establishes the procedures for identifying and protecting infrastructures essential for the health, safety and economic and social well-being of society in the energy and transport sectors, transposing the Directive in 2008/114 / EC of 8 December." National Security Cabinet of Portugal. see Attachment (Republishing of Decree-Law No. 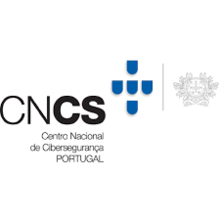 3/2012) Art 2 (1): "The mission of the GNS is to ensure the safety of the information classified at national level and of tions to which Portugal is a party, and to exercise function of the credentialing authority of natural persons or collective agreements for the access and manipulation of classified, as well as that of accrediting authority and supervision of entities that operate within the scope of the Electronic Certification of the State - Infrastructure of Public Keys (SCEE) and of an accrediting entity by provisions of the law governing the provision and the use of electronic contracting platforms public." Comissäo Nacional de Protecçäo de Dados (‘National Commission for the Protection of Data’).